Most Northeast India states require tourists to obtain permits of some sort to visit them. This is due to ethnic violence, as well as the region's sensitive location bordering Bhutan, China, and Myanmar. Here's what you need to know about permits for the Northeast of India, and where to get them. Do be aware that foreigners can apply for permits (both Protected Area Permit and Inner Line Permit) if they have an e-Visa for India. It's not necessary to hold a regular tourist visa to apply for a permit. 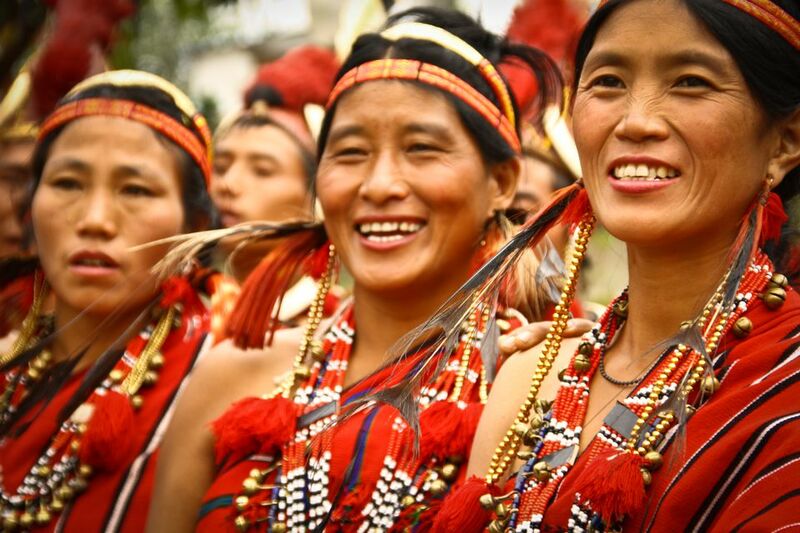 Note: The Indian government has relaxed permit requirements for foreigners to promote tourism to the Northeast. Foreigners no longer have to obtain permits to visit Mizoram, Manipur, and Nagaland. (The requirement still remains for Arunachal Pradesh and Sikkim.) Foreigners must, however, register themselves at the Foreigner Registration Office (District Superintendent of Police) within 24 hours of entry to each state. In addition, the permit exemption doesn't apply to citizens of specified countries, including Pakistan, Bangladesh, and China, who continue to require prior approval of the Ministry of Home Affairs before their visit to these three states. Do be aware that Overseas Citizen of India card holders are classified as foreigners, and must obtain permits as required. The following information reflects the above changes. Indian tourists need an Inner Line Permit (ILP). This is available from any Government of Arunachal Pradesh office or by applying online at this website. In addition, ILP Facilitation Centers were opened at Guwahati, Naharlagun and Gumto railway stations in March 2015. These centers issue ILPs on arrival. Foreigners require a Protected Area Permit (PAP). The permit requirements were relaxed in 2008 and only two or more people need to travel together (instead of four). However, according to a further government directive issued in 2014, single foreign tourists can now obtain PAPs to visit Tawang, Bomdila, and Ziro. PAPs are available for a duration of 30 days (extensions are not possible). In reality, the easiest way of getting the PAP is through a travel agent. It will take a couple of days to be issued. If you want to travel independently and do it yourself, the best places are the Arunachal Pradesh Deputy Resident Commissioner's Office in Kolkata or Guwahati. These are the only two places that have authority to issue PAPs to independent foreign tourists and single tourists. In Guwahati, the office is located on G.S. Road. Applications can be submitted Monday to Friday, up until 2 p.m. Processing time is two to five working days. Permits aren't required for Indians or foreigners. Indian tourists visiting Manipur by road via Dimapur or Kohima require an Inner Line Permit to pass through Nagaland. This is available from any Nagaland House, or Government of Nagaland office. Foreigners no longer require a Protected Area Permit (PAP). However, they must register themselves at the local Foreigner Registration Office (FRO) of the districts they visit within 24 hours of arrival. (Previously foreign tourists were required to travel in a minimum group of four people or a married couple, and only visit limited areas). Indian tourists need an Inner Line Permit. This is available from any Mizoram House. It's also available at Lenpui Airport, for tourists arriving by flight. Foreigners are no longer require a Restricted Area Permit (RAP). However, they must register themselves at the local Foreigner Registration Office (FRO) of the districts they visit within 24 hours of arrival. (Previously foreign tourists were required to travel in a minimum group of four people or a married couple, and only visit limited areas). Indian tourists need an Inner Line Permit. This is available from any Nagaland House, or Government of Nagaland office. Foreigners are no longer require a Restricted Area Permit (RAP). However, they must register themselves at the local Foreigner Registration Office (FRO) of the districts they visit within 24 hours of arrival. (Previously foreign tourists were required to travel in a minimum group of four people and only visit limited areas). Indian tourists do not need a permit to enter Sikkim. However, an Inner Line Permit is necessary for visiting certain areas. In East Sikkim, these areas are Tsongo Lake, Nathu La, Kupup, and Menmecho Lake. In North Sikkim, these areas are Chungthang, Lachung, Yumthang Valley, Yumesamdong, Lachen, Thangu, Chopta, and Gurudongmar Lake. The permits can readily be arranged through travel agencies in Gangtok. Foreigners need an Inner Line Permit to enter Sikkim. This permit can be readily obtained at the Rangpo border crossing checkpoint. A 30-day permit will be issued upon presentation of photocopies of passport, Indian visa, and two passport-sized photos. Foreigners also require a Restricted Area Permit (RAP) or Protected Area Permit (PAP) to visit North Sikkim, and for trekking in the interior region of the state (such as Yuksom to Dzongri). Such permits are only issued to groups of two or more foreigners traveling together, who have made their arrangements with a trekking/tour operator that's registered with the Sikkim Tourism department. The tour operator will handle obtaining the permits. A permit is also required for day trips from Gangtok to Tsomgo Lake. Tour operators/drivers will arrange these but require 24 hours notice.